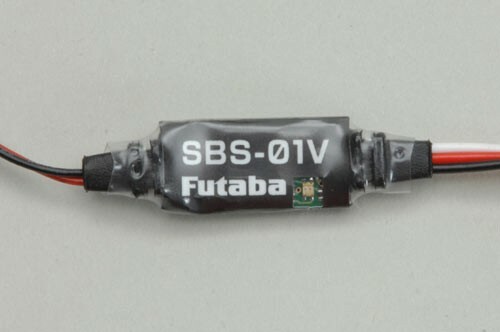 The Futaba SBS-01V Telemetry Voltage Sensor has a range of 0 to 100 Volts. This sensor is used to monitor real time voltages on the aircraft and relay them back to your radio in real time so you always know the condition of the system. This sensor will work with the Futaba T10J 10-Channel 2.4 GHz Computer Radio System.